TRIUMPH have revised the Tiger 1050 with upgraded suspension, sportier riding position and new graphics. The 2012 model-year bike features upgraded suspension consisting of redesigned internals and new damping characteristics front and rear, with a stiffer spring at the rear. 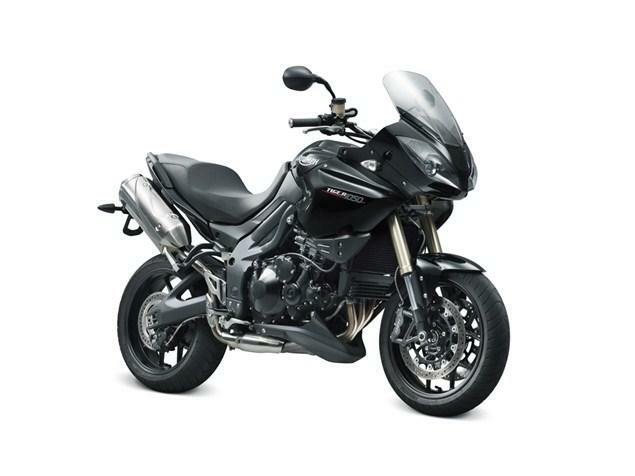 Triumph have aimed to reduce dive under braking and also make the bike more stable two-up with luggage. The new handlebars sit 20mm lower than the current model too. The black paint's been out on the wheels, sprocket carrier and brake callipers, while silencers and heel guards now take on a brushed, rather than polished, aluminium finish. 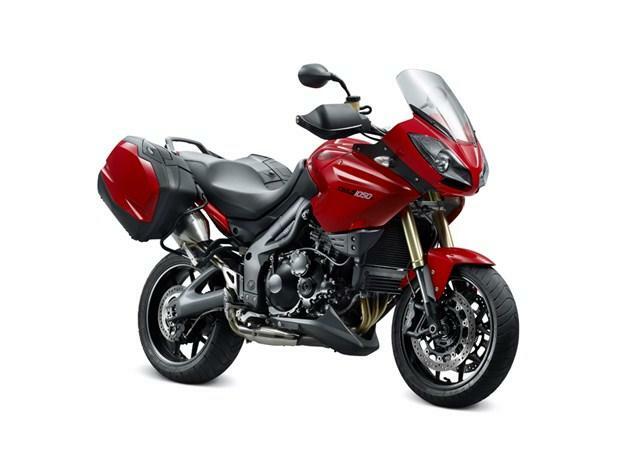 The standard Tiger 1050 comes in Triumph’s metallic Phantom Black, while the SE version offers three colour options: Diablo Red, Crystal White and a two-tone Matt Black/Matt Graphite combination. The higher specification Tiger 1050SE also benefits from Triumph’s ABS braking system, as well as the standard fitment of handguards, centre stand and panniers, optional extras on the standard Tiger 1050. The Tiger 1050 and Tiger 1050SE are now on sale, priced at £9,099 OTR and £9,999 OTR respectively, inclusive of Triumph’s two-year, unlimited mileage warranty. We're not sure what current owners will think of the new lower handlebars but we'll be test-riding one soon.